For many years, Bill Jensen of Simplerwork.com has been studying and advising on how to cut through the built-up clutter and confusion in the workplace in order to get to the simple and effective beliefs and practices that brings peoples’ work lives to life. I first came across his work in 2003 via the book “Work 2.0 – Building the Future, One Employee at a Time”. I bought the book for my client TELUS (the newly-appointed Director of Learning and soon-to-be VP of HR) but arguably TELUS didn’t really start taking on board some of the key issues until Dan Pontefract arrived at TELUS and began the march towards the “Flat Army – Creating a Connected and Engaged Organization“. 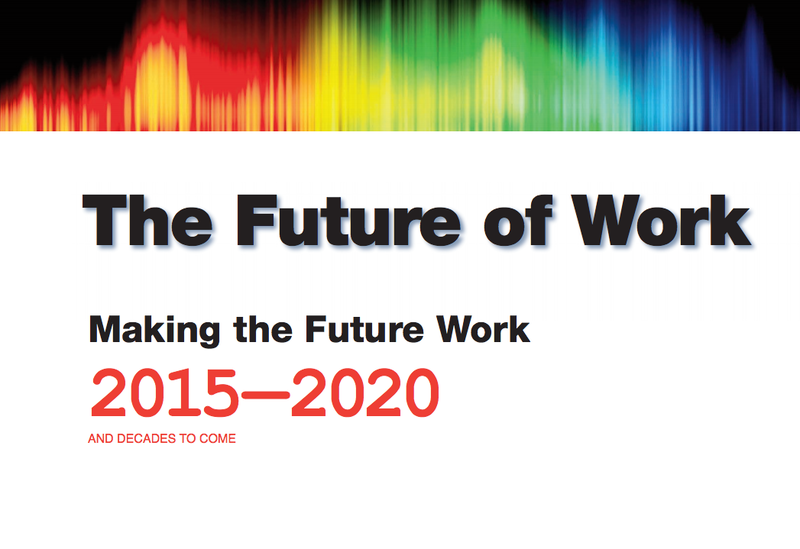 Here 12 years later are the findings of a major research study led by Bill Jensen on the critical obstacles and opportunities facing workplaces everywhere as they begin to notice the “future of work” on the horizon. I’m pleased to note that the concept and principle of wirearchy feature prominently in the findings of the research study. You can view the research study presentation in your browser by clicking on its picture on the Simplerwork.com site and entering your email address. 86% of respondents said the toughest challenges and choices facing senior execs were people issues — how to find them, organize them, manage them, resource them and develop them — so that everyone has the capacity to help their teams and their company succeed. However, respondents went far beyond “treat your people better.” They cited, like many others have, the need for a strong, passionate vision to connect employees to their company. And to truly move into the future of work, they stressed that most every people management system has to change. 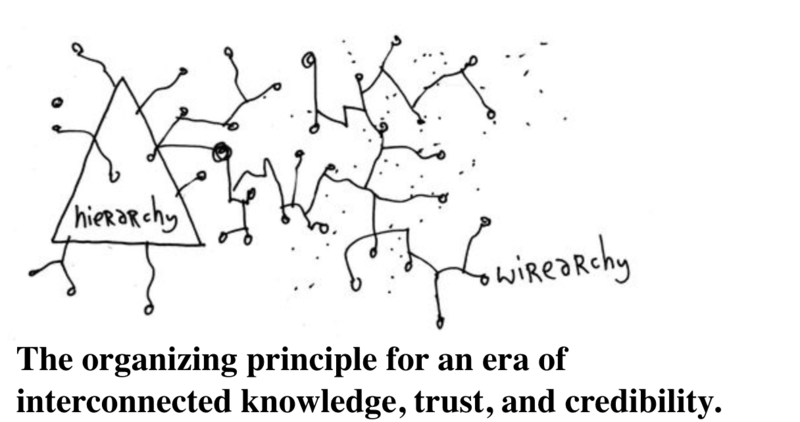 That the future of work is moving from hierarchy to wirearchy (network). That the workforce needs to be freed to create value in ways that today’s hierarchies do not do.